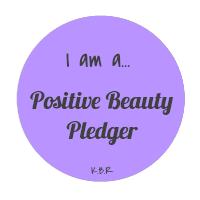 Another week, and of course another lovely Positive Beauty Pledge :) This weeks is from B, the wonderful writer of Blush, Pout and Pose! If my memory is correct, it was actually B's blog that introduced me to the amazing bargain brand that is E.L.F which I have huge appreciation for. 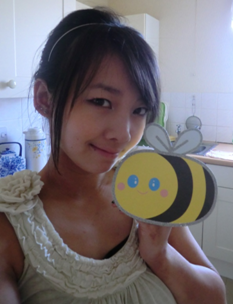 So, without further I do, I introduce...B! 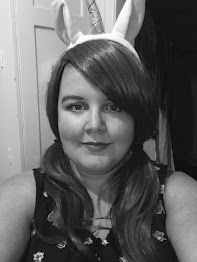 As the writer of the beauty blog Blush, Pout and Pose, I hereby promise not to judge other people or myself negatively on appearances because no one is ugly and everyone is beautiful. I promise to recognise everyone’s own unique beauty including my own and we should accept all kinds of beauty. Everyone has a right to feel beautiful and we should all help each other to recognise this. There is too much pressure from the media to fit into the conventional way of beauty but there is not one size fits all. Criticizing someone for being ugly will not make you any more beautiful but I will compliment people where it is due as everyone deserves to be told that they are beautiful! It was my friend’s Birthday and we were out for dinner in April 2010. I’ve suffered from eczema since I was a child and it was really bad when I was younger. As I got older it has been more controllable but in this picture due to the stress of my final year at uni my eczema had gotten worse again. I know you can’t see it in the picture but it was pretty bad that clothes I wore had to cover every part of my body and I just didn’t feel comfortable in my own skin preferring just to stay at home away from people. I only went out because it was a special occasion. The only thing is my hair because it was long which I miss now that I have short hair! It was taken in March 2011. I’m just getting ready to go out with my boyfriend to celebrate our two year anniversary. It’s been nearly a year and my eczema had fluctuated a lot, including a skin infection. But after months of treatment my skin is finally clearing up with just some scarring left. Although I’m not entirely comfortable baring my arms and legs, it was a lovely sunny day and I went without a cardigan for once but the tights stayed on. That I can’t really change what I’m born with and the only thing I can do is accept it. There are other things I can change about myself to feel better and should not feel unhappy because of one thing about me. Give us an example of someone that you consider to be "unconventionally" beautiful. After her acid attack she felt that she longer could carry on with her TV career because of the scarring to her face. She is not a face you would typically see in beauty and fashion magazines but that does not mean she is beautiful because beauty comes from within. I watched her documentary “Katie: My Beautiful Face” and I was deeply moved. 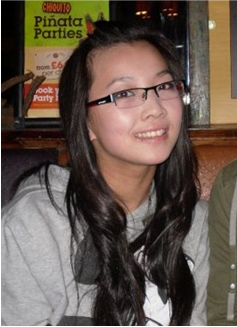 I admire her for being so brave and strong and she has come a long way since the fatal attack. It made my imperfections seem irrelevant. I think she looks fabulous and pretty with a beautiful smile! She’s a strong, independent woman and I really admire her for that. Thanks Kat for running this Beauty Pledge! Ooh yes, because of ELF it allowed me to come across your great blog too!